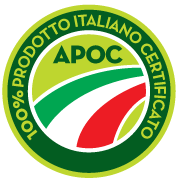 The organic certification achieved by APOC and its Associates allows to export the “bio” product in different countries participating in the European Union.The EU organic farming logo offers consumers the security about the origin and quality of food and beverage production. The presence of the logo on them is in compliance with the European regulations on organic farming. 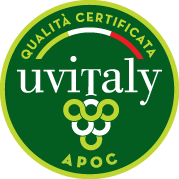 The certification ” hill tomato” was achieved as a result of the verification of productions in the field as well as a particular regulation drawn up by the Organisation, in which areas, growing techniques and varieties to be taken in order to characterize the final product, are well explained and defined. 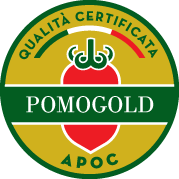 Pomo Gold is the excellence Apoc tomato brand. It is an industrial tomato, in round and elongated type, obtained following a production line selected “gold line”. Apoc assists producers who undertake the path of quality, rewards their efforts and promotes the right recognition. 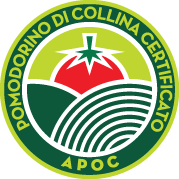 The 100% Italian product certification is the result of a series of tests performed before on the agronomic technical management system to examine the contractual commitments, the choice of suppliers, the management of documentation and all the planned checks carried out among the farmers; then they are followed by accurate spot-checks to ensure consistency between the official documentation and the agricultural companies features. 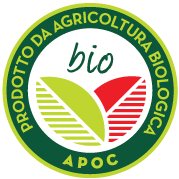 Certified quality for the production of table grapes: this is the new challenge undertaken by Apoc alongside his associates. A specific regulation guides the realization of a product responding to precise features in terms of size, colour and brix degree. Quality product made in a highly territorial area suited by specialised and sensitive producers to mitigate the impact of agriculture on the environment. Tutti i marchi sono di proprietà di APOC Salerno. Qualsiasi uso non autorizzato e/o la riproduzione, anche parziale, saranno perseguibili nei modi consentiti dalla legge.